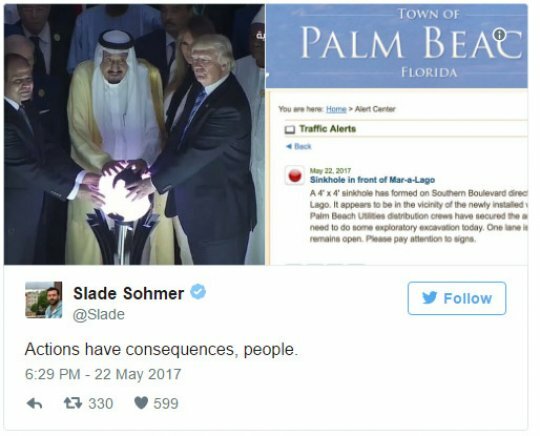 Sinkhole Chooses Perfect Moment To Appear At Trump's Mar-A-Lago Resort. Twitter has erupted with metaphors, after a sinkhole formed in front of Mar-a-Lago, the Palm Beach estate belonging to President Trump. we found about this miraculous event, which apparently took place while trump was visiting the Western Wall and the Church of the Holy Sepulchre in Jerusalem. 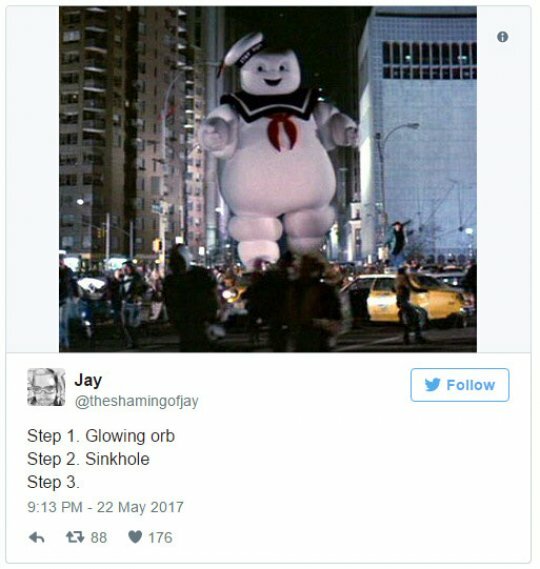 #1 - It was the Glowing ORB after all, right? Some have linked the recent "touching of the glowing orb" as the reason behind the sinkhole. Perhaps Trump is hiding something at Mar-a-Lago and is trying to hide the evidence in a convenient way? #2 - Perhaps something bigger is on it's way? Could it be that after "the touching" and the sinkhole, comes something even bigger? #3 - Or is he finally starting to Drain the Swamp? Could this be the beginning of the swamp drainage that we have all been waiting for. Perhaps it is a sign from God? A divine intervention? #5 - Or is a metaphor at all? Honestly, i guess this perfectly sums it up.